Super Eagles of Nigeria moved up six places from the 67th to the 61st position in the latest FIFA world ranking released on Thursday. 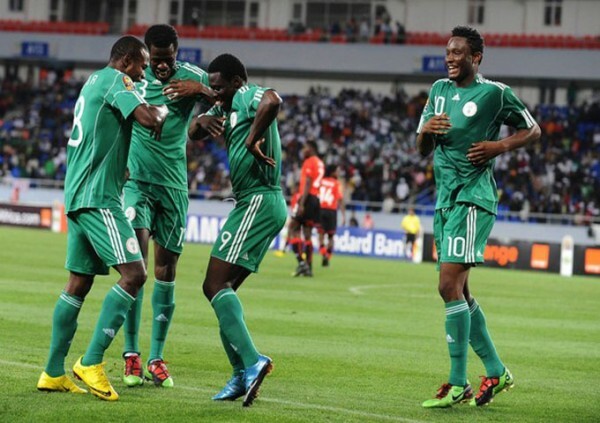 The Super Eagles' points haul improved to 559 from the 540 for last month. The three-time Africa Cup of Nations winners did well last month, winning their two friendly matches against Mali and Luxembourg. Nigeria are 12th in Africa, behind the likes of Algeria (first in Africa, 32nd in the world) Cote d'ivoire (36th in the world) Ghana (37th in the world) and Egypt (45th in the world). Meanwhile, Argentina maintain the number one spot in the world and are followed by Belgium, Colombia, Germany and Chile who occupy second, third, fourth and fifth places respectively. Other countries in the top 10 are Spain in sixth, Brazil in seventh, Portugal in eighth, Uruguay in ninth and Austria in 10th.